The Socialist Party in France divided into two groups over the issue of appeasement. Leon Blum, who controlled the party newspaper, Le Populaire, believed the best way to halt the rise of Nazi Germany was a military alliance with the Soviet Union. Whereas Paul Faure, the secretary-general of the party, was strongly anti-Communist and supported the signing of the Munich Agreement. After Marshal Henri-Philippe Petain signed the armistice in 1940 the Gestapo began hunting down socialists and communists. Most of them went into hiding. The obvious place to go was in the forests of the unoccupied zones. Eventually these people joined together to form the Maquis. 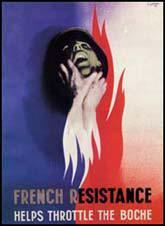 As they grew in strength they began to organize attacks on German forces. They also helped to get Allied airman, whose aircraft had been shot down in France, to get back to Britain. Daniel Mayer, a senior member of the Socialist Party, formed the Comité d'Action Socialiste in January, 1941.He was soon joined by Pierre Brossolette, who ran a bookshop with his wife in Paris. In April 1942, Brossolette was sent to London to have talks with General Charles De Gaulle. 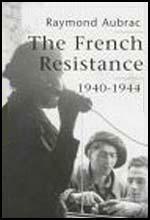 In May 1943, Jean Moulin persuaded the Comité d'Action Socialiste to join forces with Combat, Front National, Liberation, Francs-Tireur and the Armée Secrete to form the Conseil National de la Resistance.